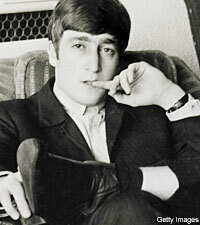 Audio: Lost John Lennon interview from 1968. Beatles Radio: The Beatles, Solos, Covers, Birthdays, News The Fab 4 and More! In 1968, Maurice Hindle sent an ambitious letter to a Beatles fanzine requesting an interview with John Lennon. It was always going to be a long-shot; Hindle was a student at Keele University in Staffordshire County, England, and the Beatles were already the biggest band in the country. You can imagine Hindle’s shock, then, when he received a reply from Lennon himself in December, inviting him and his friends to Lennon’s home in Surrey.